Looking to earn credit towards your college degree while attending high school at Rocky Mount Prep? 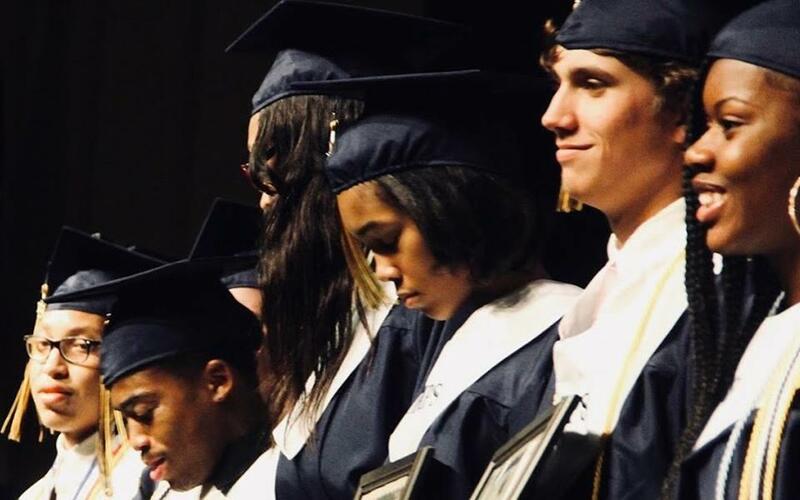 Career and College Promise (CCP) gives North Carolina high school juniors and seniors the opportunity to get a "jump start" and earn college credit toward a two-year or four-year degree while still in high school by completing the transfer pathway program. Students are dually enrolled in their high school and at Nash Community College, allowing them to receive both high school and college credit for courses taken through the program. Best of all, CCP classes are tuition-free during the fall, spring and summer semesters. Students must have a 3.0 gpa and meet standardized test requirements. Find out more information about the Career and College Promise here.